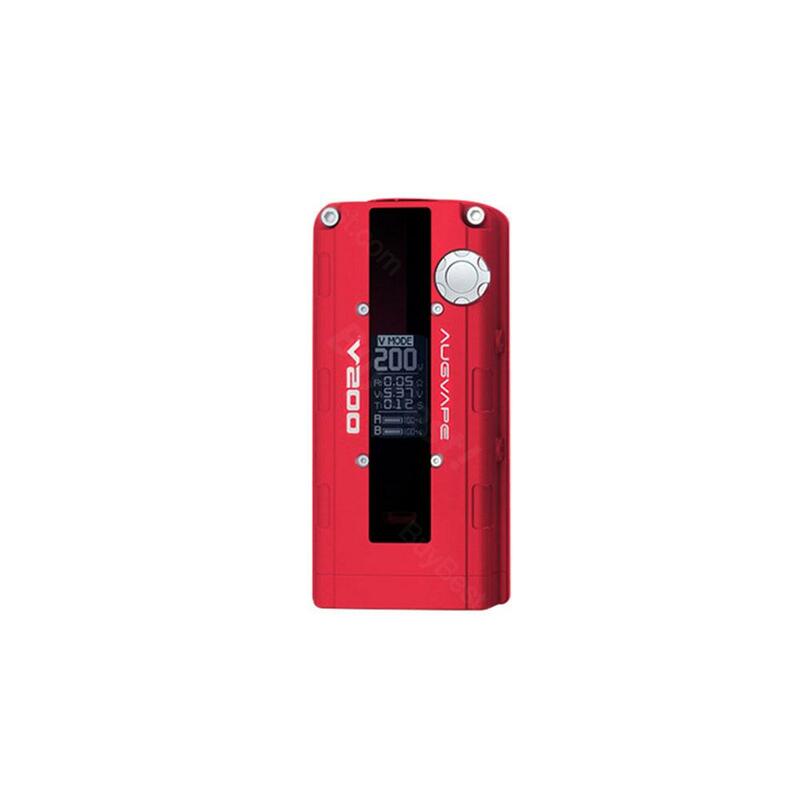 200W AUGVAPE V200 MOD is the first box mod that inspired by car engine - B18C with Dual 18650 batteries that can fire up to 200W to offer you excellent clouds and pure flavor. V mode will bring faster ramp up time. As the first box mod that inspired by car engine - B18C, 200W AUGVAPE V200 MOD comes with Dual 18650 batteries that can fire up to 200W to offer you excellent clouds and pure flavor. It adopts three output modes, including normal, bypass and V Mode. What is worth mentioning is that V mode will bring faster ramp up time. What’s more, 0.96-inch OLED screen will display battery status, time, voltage and etc. • Three-month warranty for mod. Cette box est top!!! elle sent la solidité, un menu simple et pratique et une superbe gueule! j'adore! !